The band are very pleased to announce their association with Artist Rob Gobel from Kilham in the East Riding of Yorkshire. Rob has produced a mixed media image of the band playing at the Crescent Gardens bandstand Filey at their concert in September 2015. 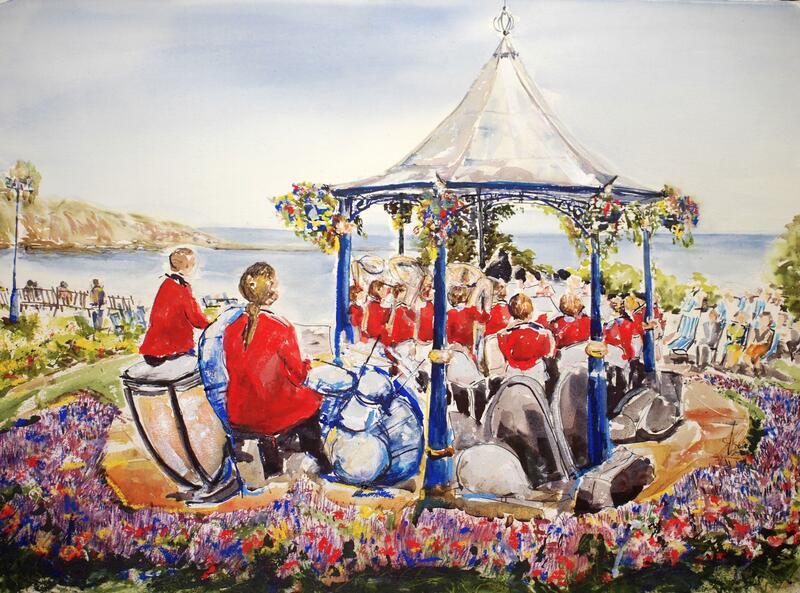 Rob has beautifully captured the feel of a summer bandstand concert in this wonderful setting and very generously donated the copyright of the image to the band for use in fundraising. We have produced a signed limited edition fine art print, which will be available from the band website along with a range of unsigned prints greetings cards and gift items. The original work will be on display at the bands summer concerts and Rob will be attending some of these events and is doing some other sketches of the band through the season.